Why Did it Take Stephenie Meyer so Long to Join the Kindle Millions Club? Amazon announced today that they were adding another 3 authors to the Kindle Millions Club. David Baldacci, Amanda Hocking and Stephenie Meyer have all sold a million or more copies of Kindle ebooks. They'll be joining Amazon's growing group of successful ebook authors, including Stieg Larsson, James Patterson, Nora Roberts, Charlaine Harris, Lee Child, Suzanne Collins, Michael Connelly, John Locke, Kathryn Stockett, Janet Evanovich and George R.R. Martin. This brings the Kindle Millions Club to a grand total of 14 members, all of whom have sold over a million paid copies of their ebooks. There's one detail about today's news that I find most interesting. Stephenie Meyer joined today, and that's interesting because I would have expected her to hit this milestone a long time ago. She wrote the Twilight series, and given how immensely popular those books are I'm surprised that she hasn't sold more copies in the Kindle Store. But then I checked the prices of her books, and they're all $8 and up. I think what we have here is a valid example of how high ebook prices hamper sales. We could probably take any of the authors as a counter point, but let's contrast John Locke with Stephenie Meyer. He's someone who came out of nowhere and hit a million copies sold simply on his own efforts. 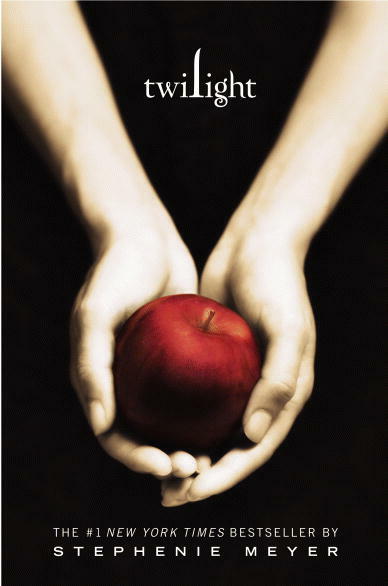 And he did it long before Stephenie Meyer. Admittedly, his success is because he's a good businessman, but one of his business decisions was to price his ebooks lower than Little, Brown were willing to price the Twilight series. John Locke's highest price ebook costs $3, and Stephenie Meyer's lowest priced ebook costs $8. I don't think that's a coincidence. I've thought for the longest time that there was a sweet spot for ebooks, and I would have put it in the $3 to $6 range. While this is really only anecdata, my rule of thumb is to never pay more than $6 for a (fiction) ebook (unless I desperately want it), and I rarely risk more than $3 on someone I don't know. But I am willing to buy just about any ebook priced under $3, and I would bet that the same applies to a lot of readers. When an ebook gets cheap enough it becomes an impulse purchase, and we don't mind spending the money. I know I'm not the first to say this, but good books can succeed at low prices. And as we saw today, high prices inhibit sales. The Price Fix 6 might be doing okay with ebook sales, but clearly the lower price point is also a valid option. Will the Rakuten Buyout Really Help Kobo Succeed? Mr Locke earned more money at $2.99 than Ms Meyer at $7.99 on each book sold. Amazon earned considerably more on Ms Meyer’s books than Mr Locke’s. Who did better depends on where you sit. And where would you rather see the bulk of the money go? The author, the publisher, or the retailer? Not going to begrudge anybody a fair share, but a model where the creator gets 25%, the publisher gets 45% and the retailer gets 30% seems to me just a wee bit skewed. The funny thing is that even if the Price-fix scam pases legal muster, the final split is going to end up more like 35-35-30 or 50-20-30 with the publishers getting the shirt end. Too much focus on (illusory) control and not enough on basic economics. Who is more popular and loved today? The 1%ers or Amazon? While I too want everyone fairly compensated, authors need Amazon et al more so than Amazon needs authors. Selling books is not profitable (or barely) and therefore it is necessary for things to be inequitable for the moment. We need the retailers to stay in business. Price impacts sales in two ways. Price elasticity is one: cheaper books are easier to sell that are pondered less before pulling the trigger. Piracy is another: Ms Meyer’s books are among the most readily available pirate editions, right there with Rowling and Tolkien. Conversly, the incentive to pirate Ms Hocking, who serves the same audience, is a lot lower as the books are more affordable. Why pirate a $0.99 title? Some (hoarders) will pirate everything and read nothing but the underlying (effort-reward) trend is that actual sales lost to piracy will be proportional to the price of the book. Just another way the Price-Fix Six policies are self-defeating: by attaching a high “perceived value” tag to Agency books, they also make them more attractive piracy targets. I agree, and not just because I did not pay for the Twilight-Series, after reading them I would have regretted, if I did. For me, reading 70+ books a year (just finished number 79 this year) buying books is often a hunt for the lowest price. While I was burned sometimes buying used books, I still do, if it is cheaper, although I have problems storing real books and prefer ebooks. – fontsize is a risk, sometimes (esp. older books) the characters are too little for me, one of the great features of an ebook, that you can change that! So if I compare prices, the ebooks are now priced too high. Bargains, like Rudy Ruckers Ware Tetralogy, are still available, but good, new books? Rather unlikely. One thing that I miss with an ebook is reading it in the bathtub. Torrents are sometimes an option, but there are lots of bad scanned-transcribed books to be had, so the last time I found that to be the case I ended up buying that book as an ebook where it was cheapest (amazon kindle, stripping DRM and converting to epub for my Sony Reader). I don’t buy any Price Fix Six books. I’ve gone on to discover many independents that I have really enjoyed and wouldn’t have discovered had I not search for other ways to get my reading fix legally. I do agree with Nate. If I find a book a like, in a Genre I like, if its 2.99 I’ll impulse buy it. It could sit on my kindle for 2 years before I get around to it. I’ve bought a ton of books like that. But a 16.99 ebook is not an impulse buy. I’d have to REALLY want that book to fork that kind of money. People are TIRED of that damned series! That’s why! Now they are, maybe, but the series was immensely popular for a long time. It should have hit a million copies sold last yer, don’t you think?